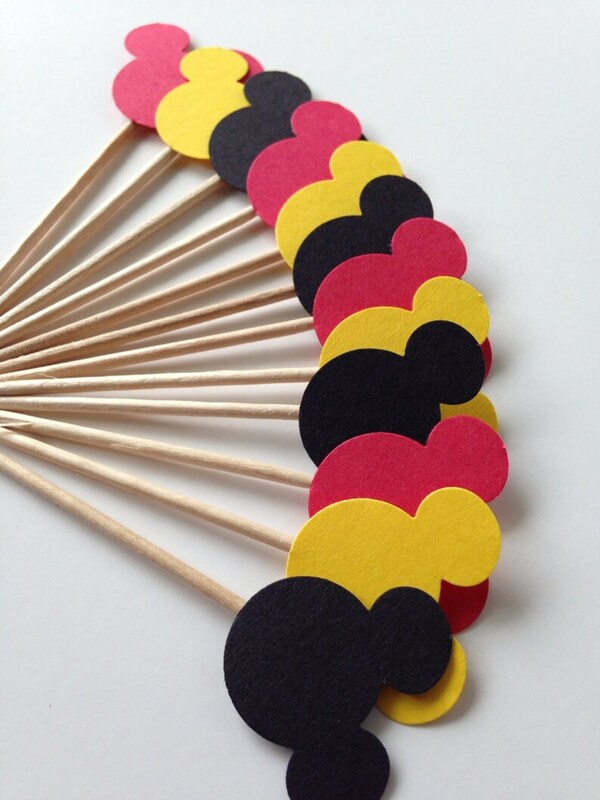 These Mickey Mouse Themed Birthday Party picks are all you need to add that little extra something to your party or event! Made from Premium Card Stock Colored paper and wooden picks. 1" head on 4" pick. **Please leave your event date in the notes to seller section at checkout. I love these. Great quality and wonderful seller. Fast communication and very professional in all aspects.